Straight from our vintage vault. 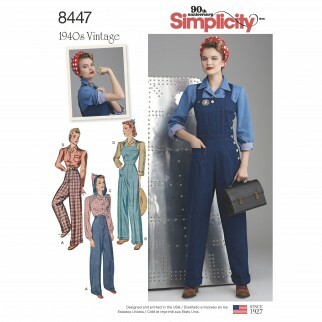 Create this 1940s Rosie the Riveter inspired sportswear. Pattern includes pants, overalls, blouse and blouse with hood. Vintage Simplicity sewing pattern.